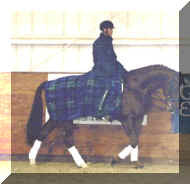 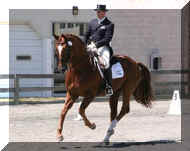 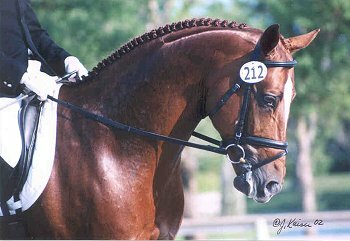 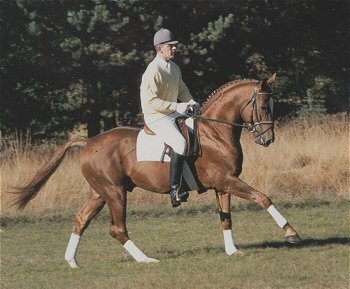 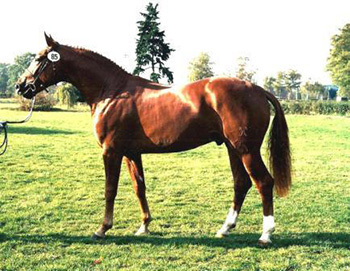 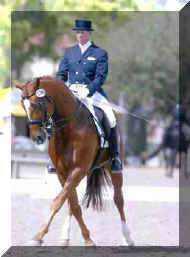 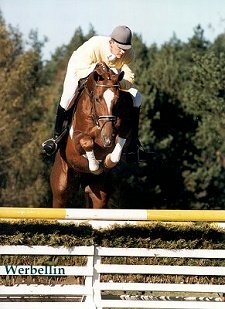 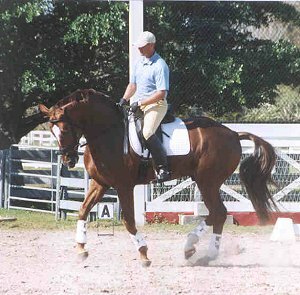 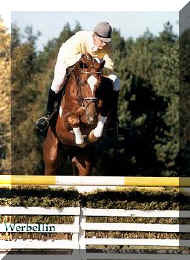 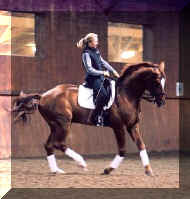 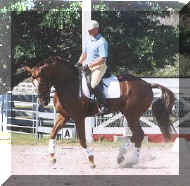 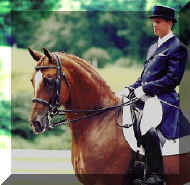 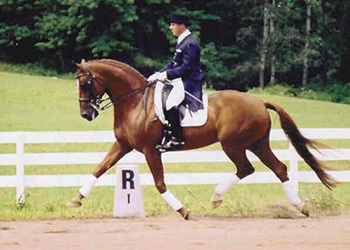 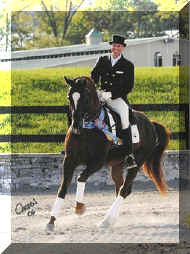 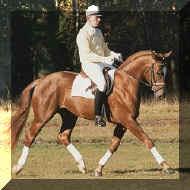 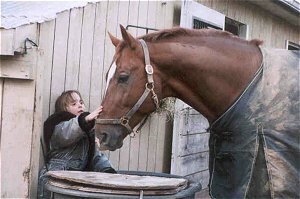 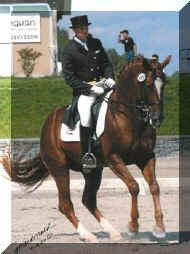 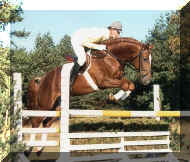 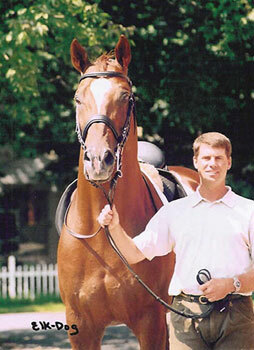 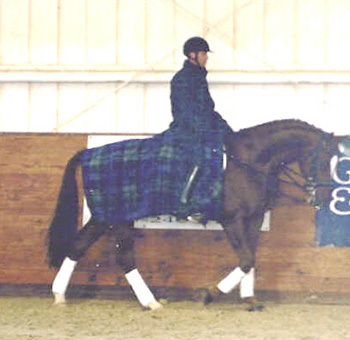 Werbellin, chestnut Hanoverian Stallion by (Weltmeyer / Legat) , born in 1991, standing approximately 16,3 hands. 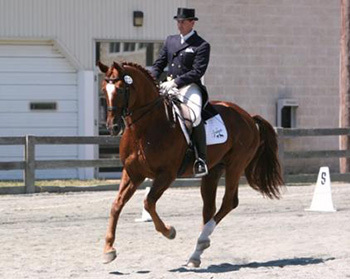 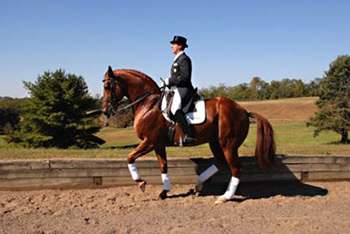 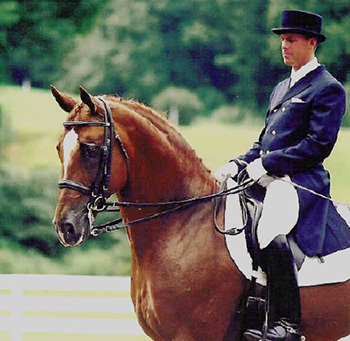 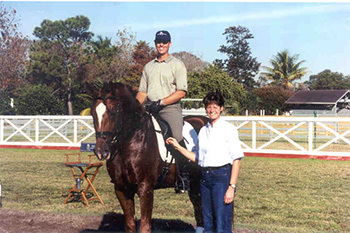 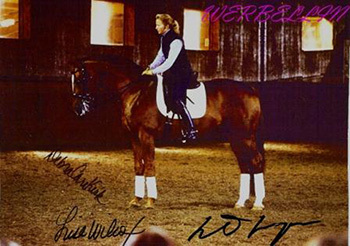 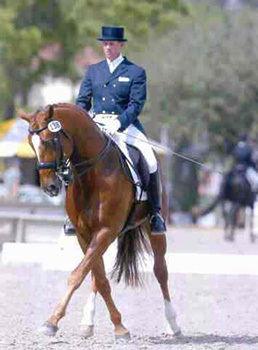 WERBELLIN is described in the German Hanoverian Stallion book as “a versatile riding horse of the best quality, who is bred out of well-proven performance bloodlines”. 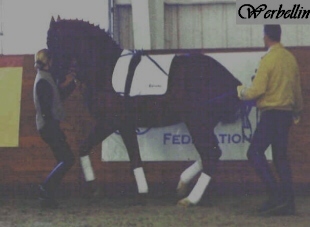 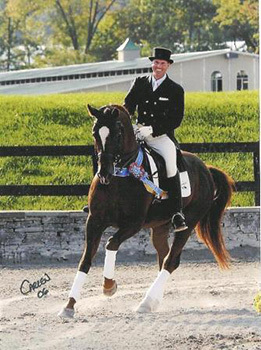 Werbellin is Produced from Hanoverian Motherline #33, thru G-Line mare Geduld, Werbellin’s Dam SPS LADY LAURIN has produced several States Premium mares. 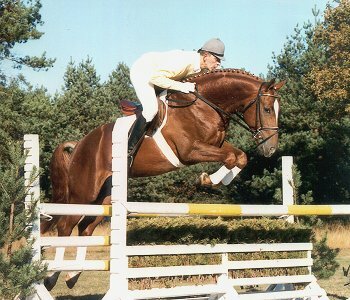 The Motherline is represented in the German Jumper Breeding program with 3 daughters scoring 8.9, 9, 9.5 This motherline has produced stallion sons Sao Paulo and Askan. 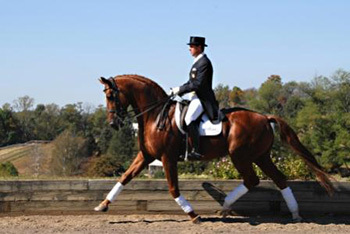 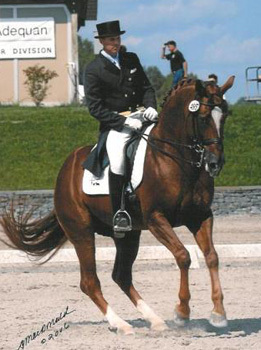 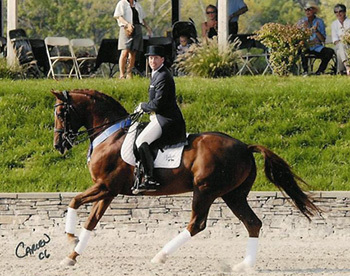 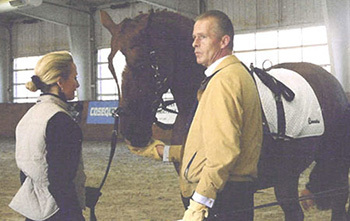 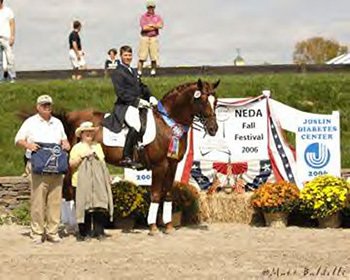 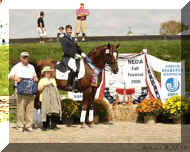 SPS Lady Laurin’s sire, LEGAT is the damsire of Isabell Werth’s FEI Dressage Horse, SATCHMO, ranked 3rd on the FN list in 2007. 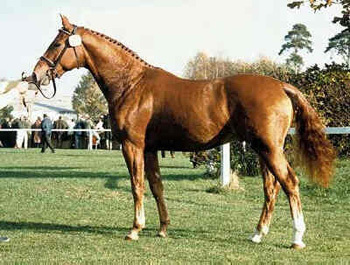 Legat’s sire, Lanthan, is noted for the production of exceptional riding horses with good minds.